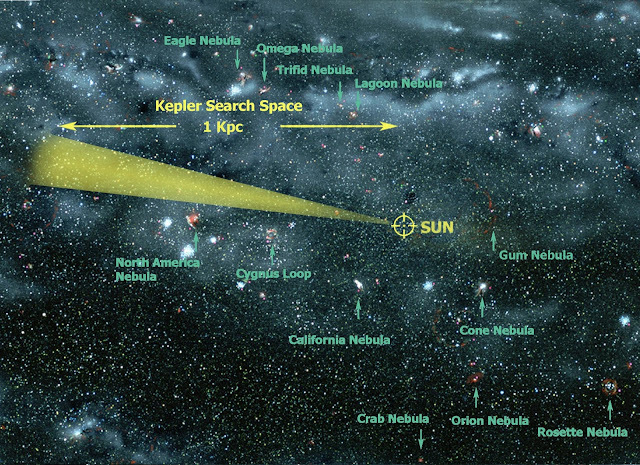 Kepler's search area extends 3000 light years from Earth along the Orion Spur of the Milky Way. Image copyright © Jon Lomberg, used with permission. 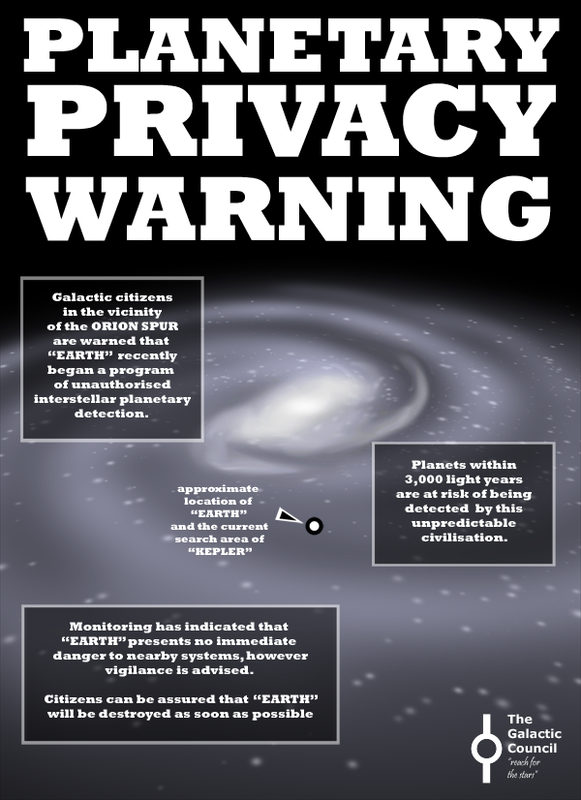 However, the science of exoplanet detection is by no means certain; many teams use different statistical methods to isolate exoplanet signals, and the lack of consistency means that many discoveries are initially met with scepticism. 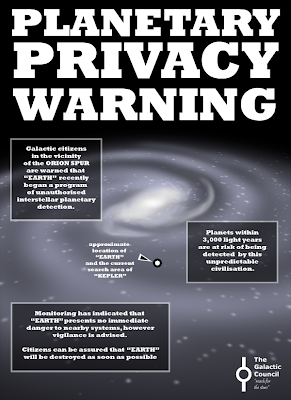 With little means of directly imaging these planets, debate continues about the existence of a number of exoplanet candidates, and the finer details of many confirmed planetary systems. Also, the methods mentioned above tend to favour large planets as their effect on their star (either by increased ‘wobble’ or by concealing more light during transit) is proportionally greater. First direct picture of an alien planet orbiting a Sun-like star. We find ourselves at an exciting, but also frustrating, juncture at the birth of exoplanet detection. Our 862 planet sample is impressive and the effort and skill of the astronomers responsible for their detection should be applauded. However, we have only begun to scratch the surface of planet discovery. Kepler can survey an impressive 100,000 stars, but that is only one millionth of the total stars in the Milky Way Galaxy. Many, many more stars and planets remain out of reach of our telescopes, at least for the foreseeable future. Admittedly, to say that no planet has been directly imaged would not be quite accurate. Some extremely large planets, in most cases 5 or 10 times the mass of Jupiter, orbiting at great distances from their stars have been directly imaged. 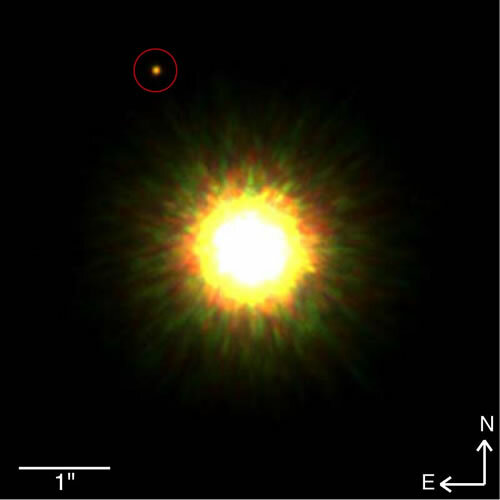 These first pictures represent great steps forward for exoplanet research, but technological constraints impose limits on the size and orbital distance of planets able to be imaged in this way, and the direct imaging of small, Earth-like planets orbiting relatively near to their host stars is not yet possible. In my next post, I hope to take a more detailed tour through the current exoplanet catalogue to highlight some of the interesting and exotic planets that inhabit our galactic neighbourhood, and illustrate what the diversity of these planets can tell us about the Earth and our Solar System. This guest blog is by Andrew Rushby, currently undertaking a PhD in earth systems modelling at the University of East Anglia. Andrew usually blogs at the II-I- blog, the Pale Blue Blog or the European Association of Geochemistry blog. He can also be found launching high altitude balloons into (near) space, and tweeting as @andrewrushby. 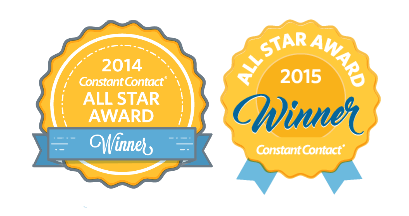 This is the second in our series of posts about the many unknowns involved in the study of planets orbiting other stars across the galaxy.